NASHVILLE, Tenn. (October 16, 2018) — THE 49th Annual GMA Dove Awards were handed out tonight in the Allen Arena on the campus of Lipscomb University in Nashville, Tennessee. The awards will be televised on TBN (Trinity Broadcasting Network) on Sunday, October 21 at 9 p.m. ET. The big winner was first-time nominee, newcomer Tauren Wells, who took home four awards, including Contemporary Christian Artist of the Year and New Artist of The Year. Superstar Zach Williams took home Artist of the Year. 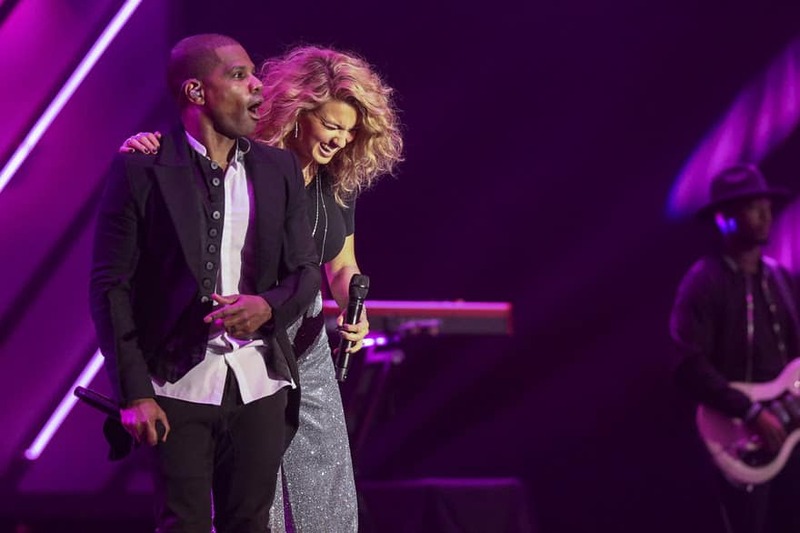 The night was fiiled with many remarkable performances, including first time collaborations including Kirk Franklin and Tori Kelly, Jason Crabb and Rascal Flatts, as well as Natalie Grant and Koryn Hawthorne. See the full list of winners here. “The performances were second to none and offered glory and revenant love to our father and his kingdom, ” says GMA President and Executive Director Jackie Patillo. 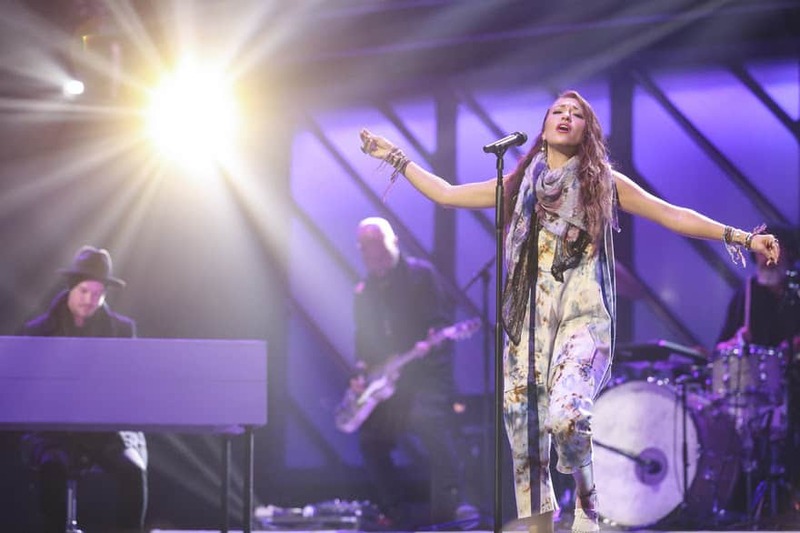 NASHVILLE, Tenn. – The Gospel Music Association (GMA) announced the final round of performers and presenters for the 49th Annual GMA Dove Awards. KB is set to perform as well as Anthony Brown & Group TherAPy with 1K Phew. 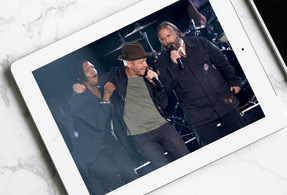 Brian Courtney Wilson, Brian and Jenn Johnson, Chonda Pierce, Erwin Brothers, Israel Houghton, Joel Houston, Jonathan McReynolds, Jordan Feliz, Joseph Habedank, Rebecca St. James, Trace Adkins and The Walls Group will join the show as presenters. The GMA is also pleased to announce the addition of LifeWay and CCLI as presenting sponsors. The awards show will be held live on October 16 in Nashville, Tennessee and will air exclusively on TBN October 21 at 8 p.m. CT. Previously announced performers include Big Daddy Weave, Cory Asbury, Jekalyn Carr, for KING & COUNTRY, Kirk Franklin, Koryn Hawthorne, Lauren Daigle, Natalie Grant, Newsboys, Social Club Misfits, Tauren Wells, Tori Kelly, Zach Williams and Jason Crabb with Rascal Flatts. The GMA Dove Awards celebrate the contributions of artists from every style of Christian/Gospel music. Nominees are determined by GMA’s professional members, and winners will be voted on by the entire GMA membership. 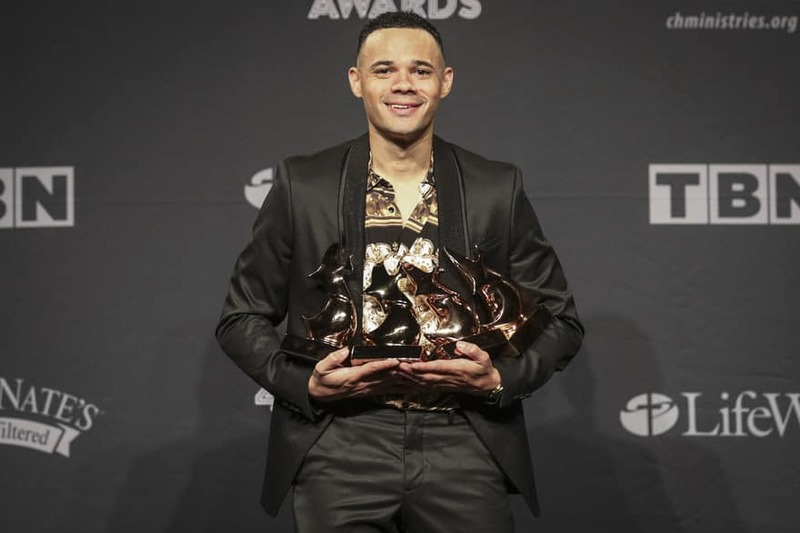 Tauren Wells leads artist nominations with eight, followed by Zach Williams with six and Cory Asbury, Tasha Cobbs Leonard and TobyMac with five nods each. Top nominated writer/producer Colby Wedgeworth scored eight nominations. View the full list of nominees HERE. Viewers can locate this year’s Dove Awards broadcast on TBN by locating it on the network’s channel finder. Watch TBN on their livestream HERE, or download the all-new app to view TBN on your Apple or Android devices. LifeWay Christian Resources is one of the world’s largest providers of Christian resources, including Bibles, books, Bible studies, digital services, church music and supplies, as well as camps and events for all ages. The company owns and operates more than 170 LifeWay Christian Stores across the nation, as well as Ridgecrest Conference Center in North Carolina. CCLI is honored to partner with the GMA to present the “Worship Song of the Year” award. CCLI empowers worship by providing affordable and legal content, resources and media, enabling songwriters and churches to create powerful moments of worship. NASHVILLE, Tenn. (September 28, 2018) – The Gospel Music Association (GMA) announced all-star presenters for the 49th Annual GMA Dove Awards, including Bart Millard, Bill Gaither, Dr. Bobby Jones, Chris Tomlin, Deborah Joy Winans, Devon Franklin, Jasmine Murray, Mark Lowry, Marvin Sapp, Matt Maher, Matthew West, Pat Barrett, Ricky Dillard, Russ Taff and Tasha Cobbs Leonard. The awards show will be held live on October 16 in Nashville, Tennessee and will air exclusively on TBN October 21 at 8 p.m. CT. Previously announced performers include Big Daddy Weave, Cory Asbury, Jekalyn Carr, for KING & COUNTRY, Kirk Franklin, Koryn Hawthorne, Lauren Daigle, Natalie Grant, Newsboys, Social Club Misfits, Tauren Wells, Tori Kelly, Zach Williams and Jason Crabb with Rascal Flatts. Tickets are on sale now at www.doveawards.com. The Dove Awards also offers music lovers unique access through its Fan Experiences with new perks being added all the time. All Fan Experience ticket holders will receive free admission to the Dove Awards Songwriters Showcase on Monday, October 16, featuring Jason Gray, Tim Timmons, Michael Farren, Andy Gullahom and more. In addition, the Fan Experience ticket holders will receive free admission to The Bible Tour anywhere in the country. Only 50 Red Carpet Experience tickets remain. For complete details, visit www.doveawards.com/fan-experience.